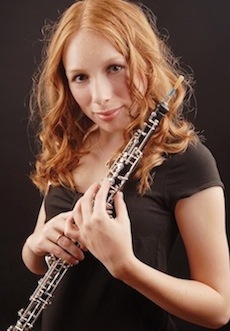 Gemma is an accomplished oboist, graduating from the Guildhall School Music and Drama’s undergraduate programme with a first class degree. She was taught by Richard Simpson, Irene Pragnell, Gordon Hunt and Jane Marshall. With the Guildhall Symphony Orchestra and London School’s Symphony Orchestra she has performed in many of London’s major concert venues including the Barbican, Royal Albert Hall and Royal Festival Hall. She is an experienced chamber musician having been a member of wind ensembles Quintessential, Crosswinds and The Amethyst Quintet. Her repertoire in this field encompasses many styles, from the Mozart Quintet for Piano and Winds to Barber’s Summer Music. Other favourites include Poulenc’s Piano Trio and Jim Parker’s uplifting Mississippi Five. She specialises in cor anglais playing and was principal of the Young Musician’s Symphony Orchestra from 2008 – 2010. She has played alongside the London Symphony Orchestra as part of their educational On Track series. Gemma plays on a Lorée Royal oboe and Lorée Cor Anglais.